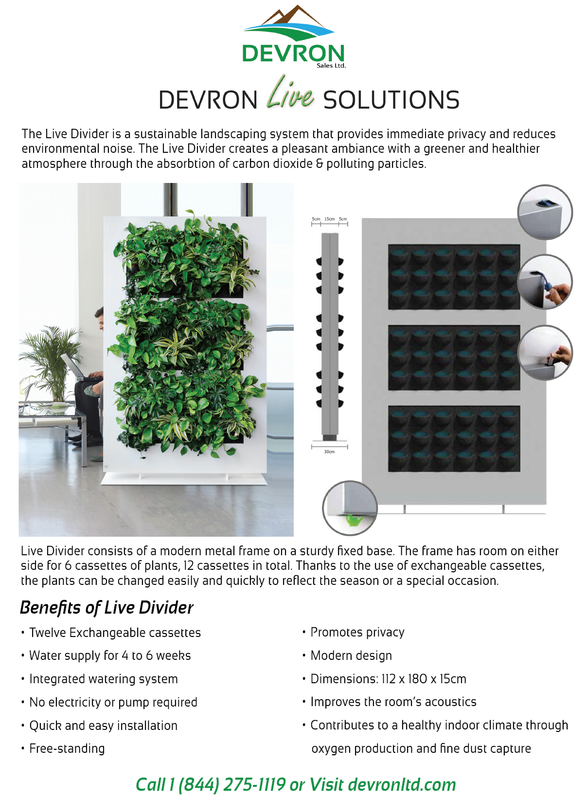 Live Divider is a sustainable landscaping system that provides immediate privacy and reduces environmental noise. 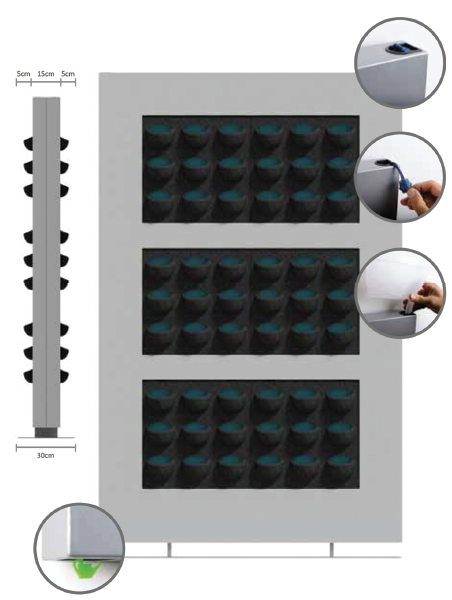 The Live Divider creates a pleasant ambiance with a greener and healthier atmosphere through the absorption of carbon dioxide & polluting particles. The Live Divider consists of a modern metal frame on a sturdy fixed base. The frame has room on either side for 6 cassettes of plants, 12 cassettes in total. Thanks to the use of exchangeable cassettes, the plants can be changed easily and quickly to reflect the season or a special occasion.